Established in 1996, offers 17 John Deere dealerships in Nebraska, Colorado and Wyoming. In addition to the traditional parts, service and new/used equipment offerings, 21st Century Equipment offers support with precision ag and big data management, water management, equipment leasing, RTK support and much more. Serving those who work the land, 21st Century Equipment LLC is committed to reducing risk, improving profitability and increasing the competitive advantage for its customers by “Making Farming Easier. 1.) The Grain Division buys, sells, handles and markets farm commodities produced by area farmers. 2.) The Agronomy Division provides soil nutrient inputs of anhydrous ammonia, other dry and liquid fertilizer, herbicide and pest control chemicals. 3.) The Petroleum Division provides energy products of gasoline, diesel fuel, oils, hydraulic fluids, grease, tires and propane to area farmers, ranchers and community residents. 4.) The Feed Division provides animal nutrition products to all sizes of livestock operations through sales of premix, concentrate and custom mix, and blend feeds. 5.) The Water Resource Division designs and installs Sub-Surface Drip Irrigation Systems. Ag Valley facilities are located in: North Platte, Logan County, Maywood, Curtis, Moorefield and Eustis; along with Edison, Oxford, Orleans, Stamford, Beaver City, Arapahoe, Holbrook, Cambridge, Hendley, Wilsonville, Lebanon, Bartley, Indianola and in northern Kansas at Norton, Reager and Clayton. Nebraska Like You’ve Never Seen It. The Daugherty Water for Food Global Institute at the University of Nebraska is committed to ensuring a water and food secure world while maintaining the use of water for other human and environmental needs. The University of Nebraska has invested in four interdisciplinary, university-wide institutes — including DWFI — that leverage talent and research-based expertise from across the University of Nebraska system to focus on complex state, national and global challenges. Learn more at waterforfood.nebraska.edu. Experience the second largest North American migration right here in Grand Island, Nebraska! Every Spring, the Sandhill Cranes stop over on the Platte River to recharge before continuing to their nesting grounds in the great north. 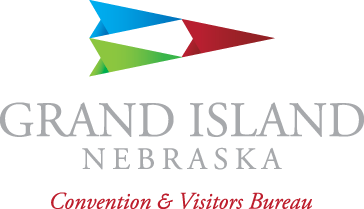 Grand Island is Nebraska’s largest city outside of the Omaha & Lincoln Metropolitan area; it's the third largest retail trade center in Nebraska. Local government is handled by the Mayor, City Council, and County Board of Supervisors. Grand Island is a three-time All-American City (1955, 1967 & 1981), and was named Outstanding Nebraska Community in 1997. World Trade Magazine has ranked Grand Island 9th in the Top 10 List of Smaller Communities with an excellent quality of life. NebraskaLand National Bank is a locally owned and operated bank headquartered in North Platte, NE. The Bank was founded on May 14th, 1998 by three dedicated employees and a group of local shareholders with a vision to serve the community. Mike Jacobson, President and CEO of NebraskaLand National Bank, was determined to start a bank that focused on individual attention, local ownership, and a local decision process. With that goal in mind, NebraskaLand National Bank created its mission "To serve the community with high quality personalized service at a competitive price". That mission remains the same today.